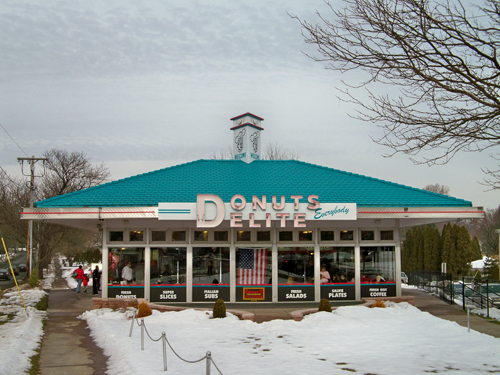 Opened in 1958, Donuts Delite was a Rochester landmark. 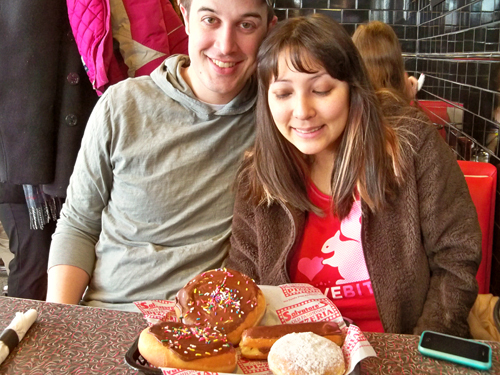 The donuts were pretty darn tasty too and Aaron I were frequent customers. 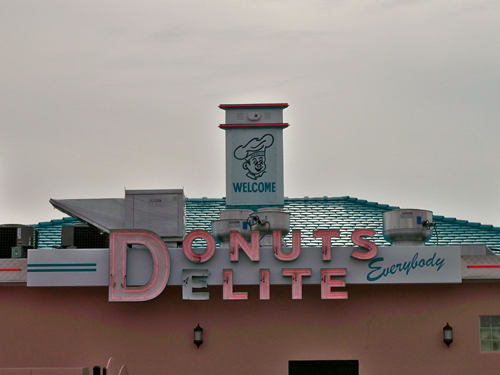 In 2005 - around the time of the Atkins Diet craze - Donuts Delite closed it's doors. 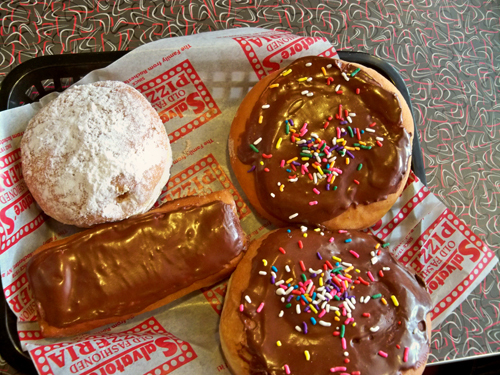 This week, thanks to Salvatore's and the man whose grandfather started it all, Donuts Delite is back in business. We went this morning to check it out. Sure enough they still had their classic banana creme filled and Flying Saucers! 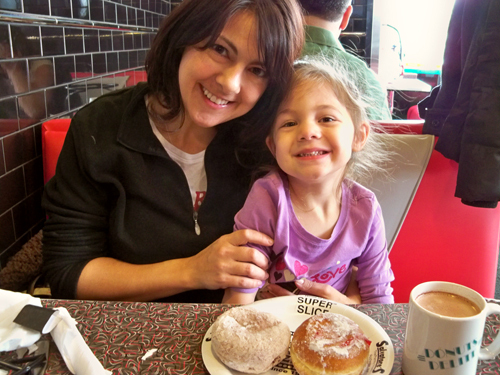 I had my first Donuts Delite donuts/doughnuts Sunday - yummm. That is so funny. While my husband and I went to support a local donuts shop here in Austin I was thinking about your post when this shop closed and wonder how this particular local shop could survive. It is awesome to see they are back.